My full name is William Rooney and I have been 3D printing since September 26th 2017 when I received my Tevo Tarantula. 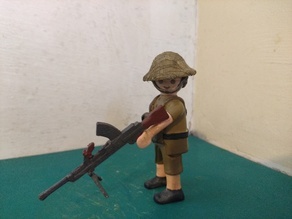 For a while I have been customizing Playmobil figures to represent people and vehicles of the second World War. 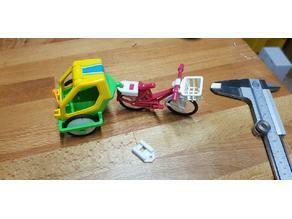 The purchase of a 3D printer proved to be invaluable in making toy guns and other small parts for the figures. I now spend most of my time designing and 3D print vehicles and objects to be compatible with Playmobil. 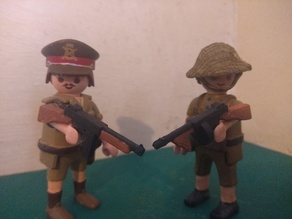 I hope you are inspired by my designs and please feel free to comment and tell me any ideas for Playmobil compatible items I could design! Playmobil Compatible WW2 German Motorbike sidecar upgrade.